This can be displayed as a point or a comma. 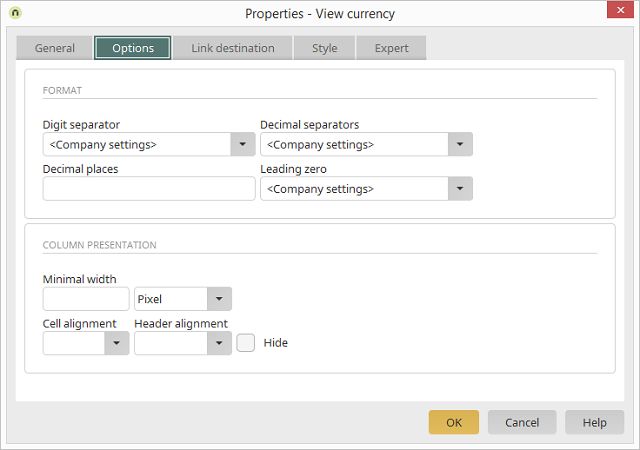 If you select the "Company settings" option, the separator will be displayed according to the setting for the number format in the portal's regional settings for the corresponding language. Enter an integer which defines how many decimal places should be displayed. Defines the format for the display of zeroes in front of the number (i.e. 0.7 or .7). If you select the option "Company setting", the leading zero will use the setting in the portal's regional settings for the corresponding language.